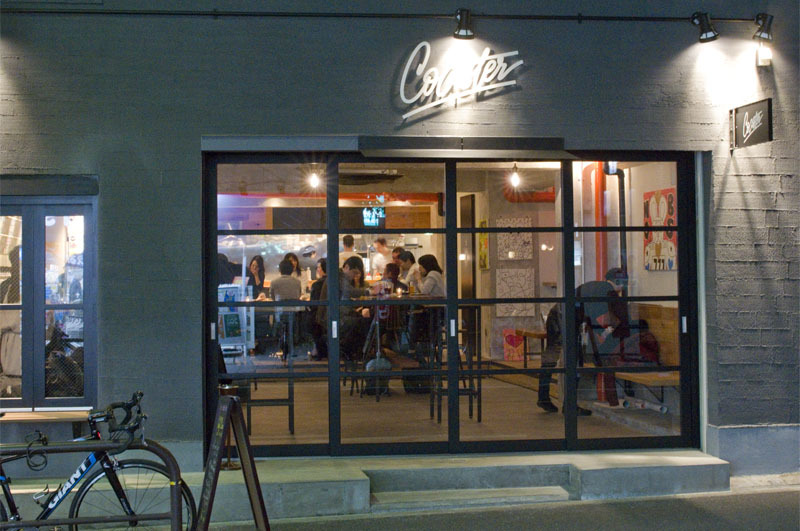 A spacious craft-beer bar at the southern end of Shimo-Kitazawa, Coaster offers a nice mix of Japanese, American and European craft beers from their fifteen taps. 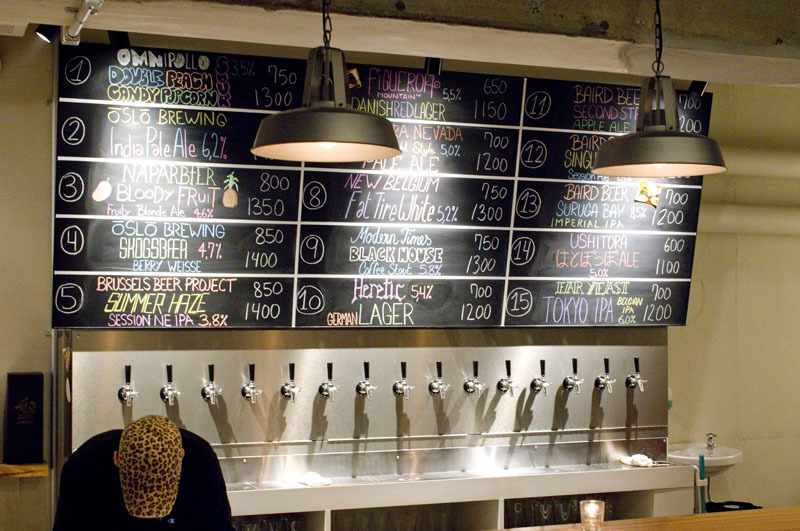 Beer comes in two sizes, priced Y600-850 for a small glass and Y1100-1400 for a large, roughly pint-sized serving. Drinks are cash on delivery and food is payable when you order; credit cards are accepted. 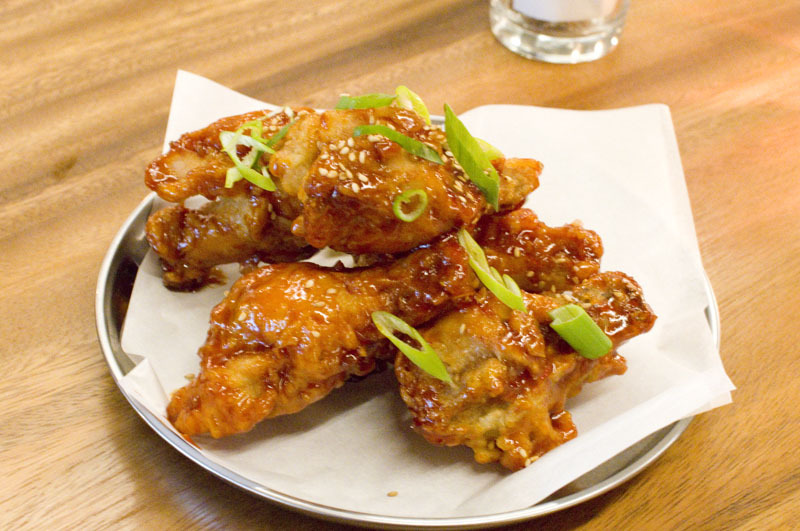 The small food menu features dishes like roast chicken (listed on the menu as "jerk chicken") and Korean-style fried chicken, although neither was particularly spicy, in spite of their names. 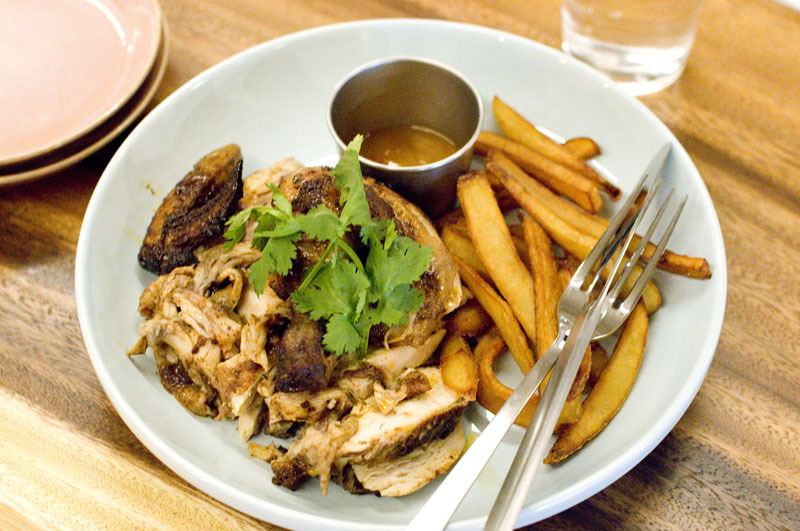 The roast chicken was tender and very tasty, although the fries could have benefited from ketchup or mayonnaise. Table service was friendly enough but rather uneven. The interior is attractively appointed, with large and small tables, a tiny counter in front of the bar, and a roomy standing area just inside the front door. They're open from noon, with lunch service at midday and coffee as well as beers in the afternoon.